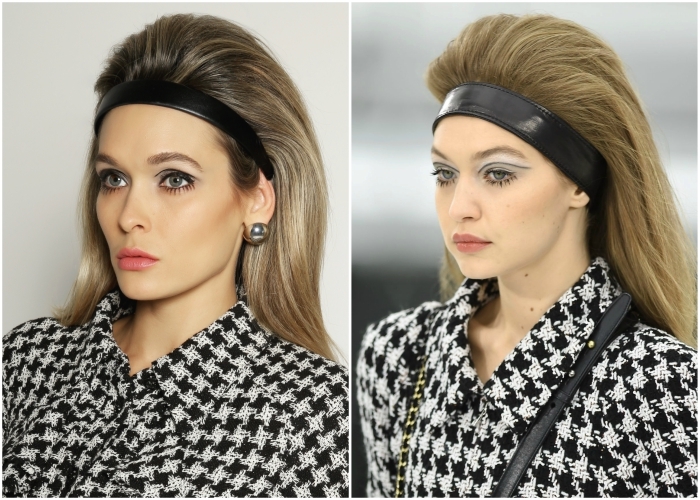 Chanel’s fall 2017 ready to wear fashion show stayed in line with Karl Lagerfeld’s “never look back” motto. So it’s no shock the theme for the show which took place at the Grand Palais	was very futuristic, including a spaceship that appeared to actually launch as a show finale complete with	hydraulics and	pyrotechnics. Models such as Gigi Hadid, Kendall Jenner, and Lindsay Wixson strutted down the “ground control” runway sporting metallic threads, and glittery boots with the classic Chanel black tips that we like to think could resemble moon boots. These looks were not complete without the makeup, of course. The look features a floating eyeliner and bottom lash, reminiscent of the 60’s, which, if you haven’t figured out by now… I LOVE! This combined with the modern atmosphere and threads makes for the perfect balance that Chanel is so well known for. Below you can watch my tutorial on how to achieve this look and then click to purchase the exact products used in my look. 1.) Primer: My first step when applying makeup is ALWAYS my Tom Ford Illuminating Primer. It’s definitely my favorite primer and possibly one of my favorite products. It gives such a beautiful glow and makes my skin feel moisturized without making it greasy. A little goes a long way with this, so one pump is enough to cover my whole face. If you splurge on a product, make it this one! Get The Tom Ford Primer for $75	Here. 2.) Foundation: For day to day makeup I prefer a more natural coverage foundation, but when I want complete coverage, this is my holy grail of foundations. Becca Ultimate Coverage Complexion Creme. Get The Becca Foundation For $44 Here. 3.) Blend: This tool is probably no stranger to anyone who wears makeup. I still use my fingers to apply the foundation, as I believe the body heat aids in even distribution, BUT I love the Beauty blender for just that, blending. I use it around the hair and neck/jaw line, nose, and eyes. It’s also great for when you are blending concealer, a contour, highlighting, or blush cream/stick. 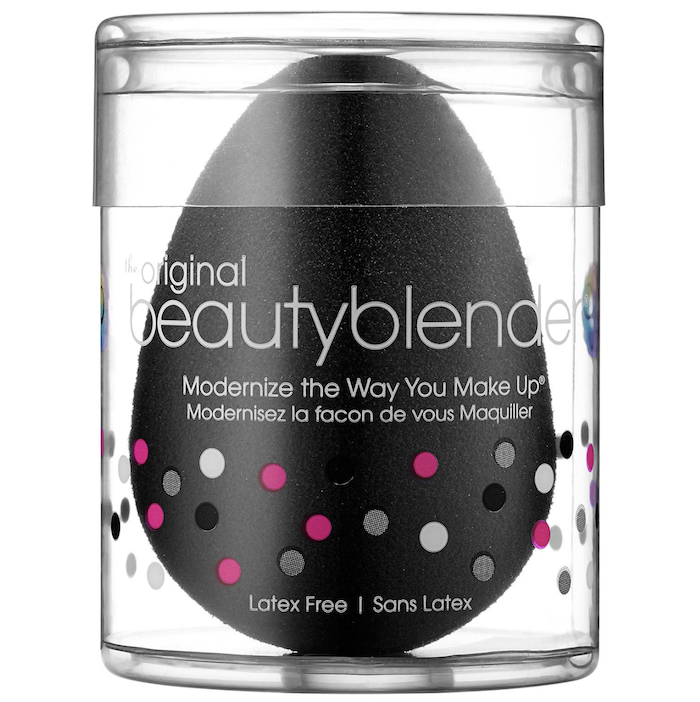 Get The Beauty Blender for $20 Here. 4.) 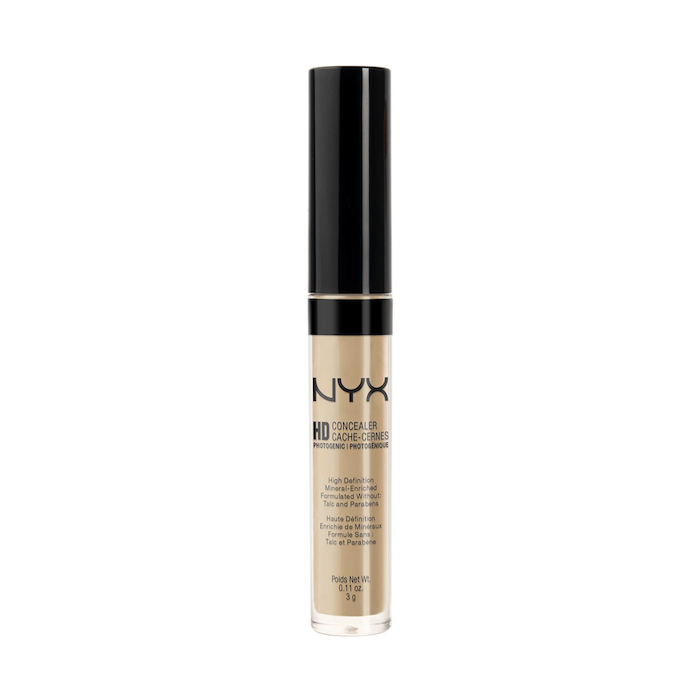 Conceal: I have used this NYX concealer for a few years now and it’s my go-to for just about everything. I have used it for blemishes, contouring, under eye, and eyelid coverage. It’s creamy enough to spread smoothly, and the coverage is great. Get This Concealer for $4.99	Here. 5. 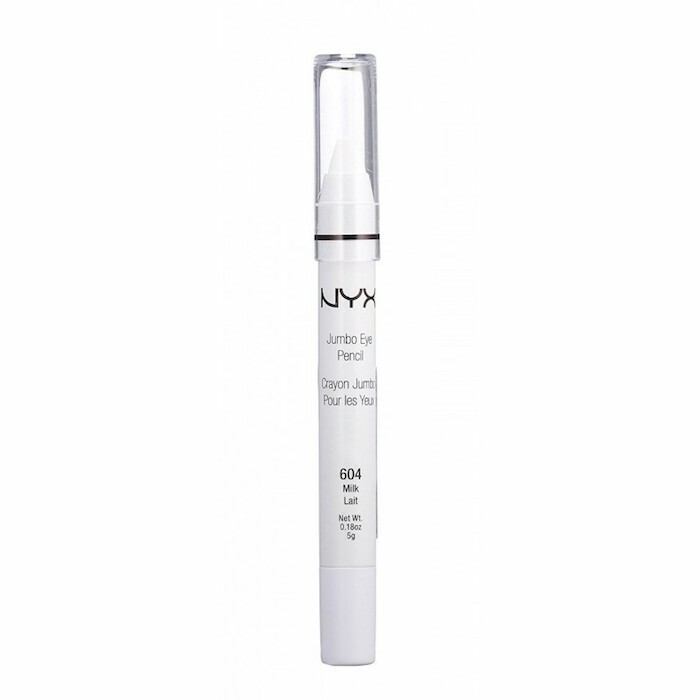 )Contour: This awesome dual ended stick from NYX glides on smoothly for easy blending. 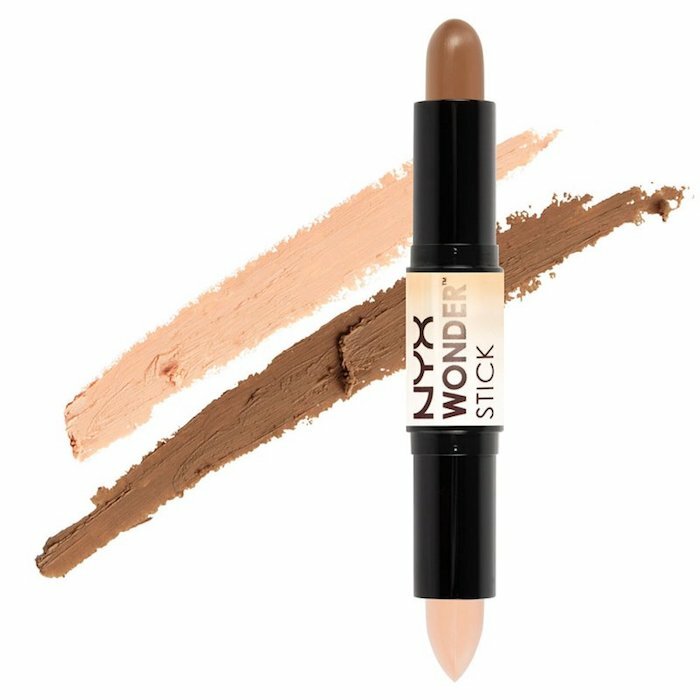 Get The Wonder Stick For $11.99	Here. 6.) 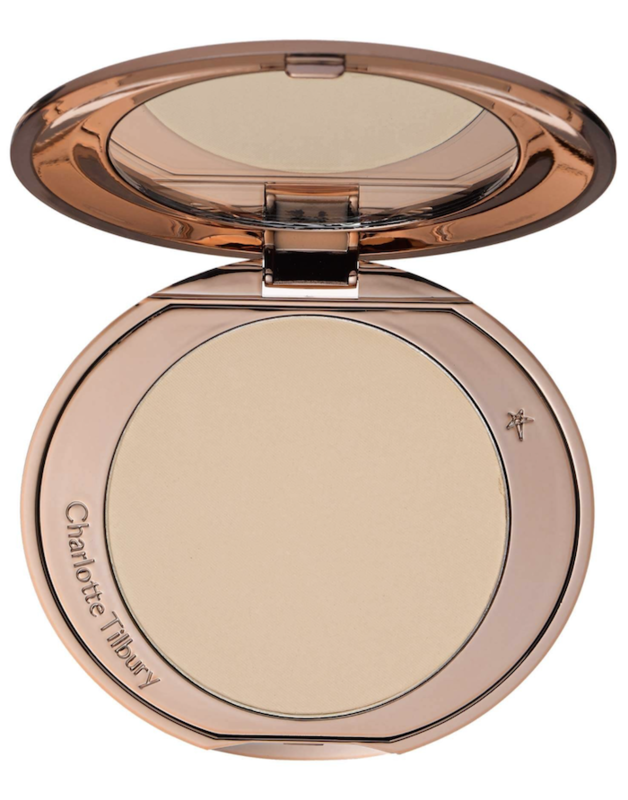 Powder: This powder from Charlotte Tilbury gives a light, but flawless finish and is my go-to for a lighter coverage. Get This Powder For $45 Here. 7.) 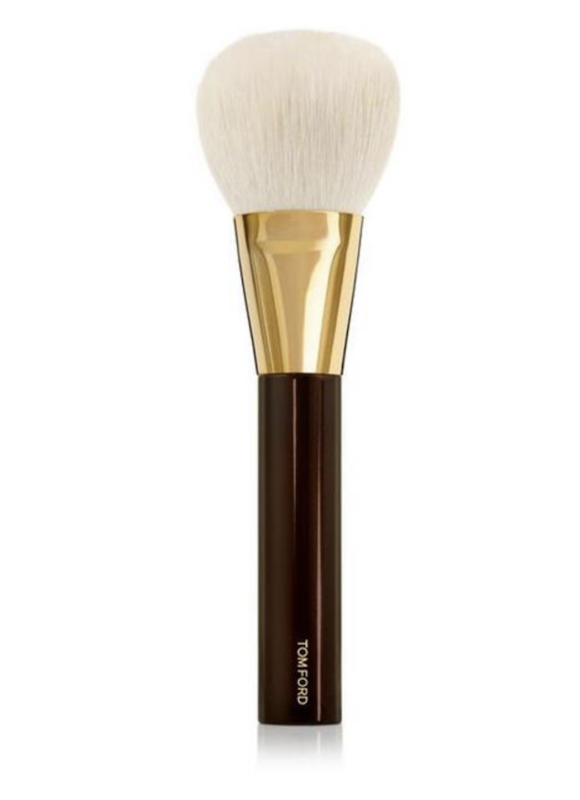 Powder Brush: This brush from Tom Ford is super fluffy and feels like heaven to the skin. Get This Powder Brush For $115 Here. 8.) 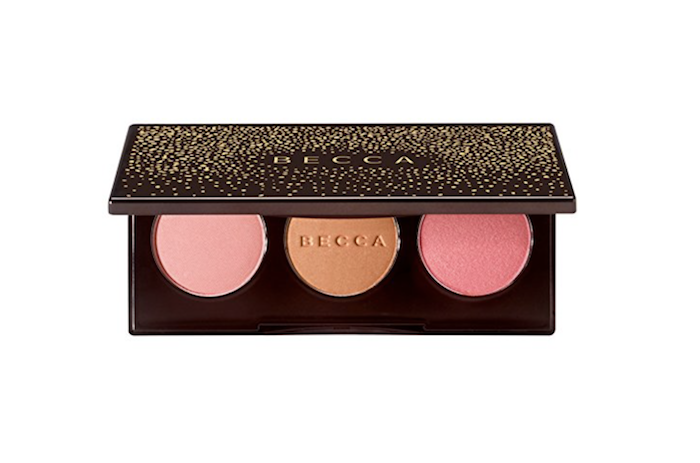 Blush: This beautiful palette from Becca is highly pigmented and offers 3 colors, 2 of which I used in this look. Get This Blush Palette For $34.00 Here. 9.) 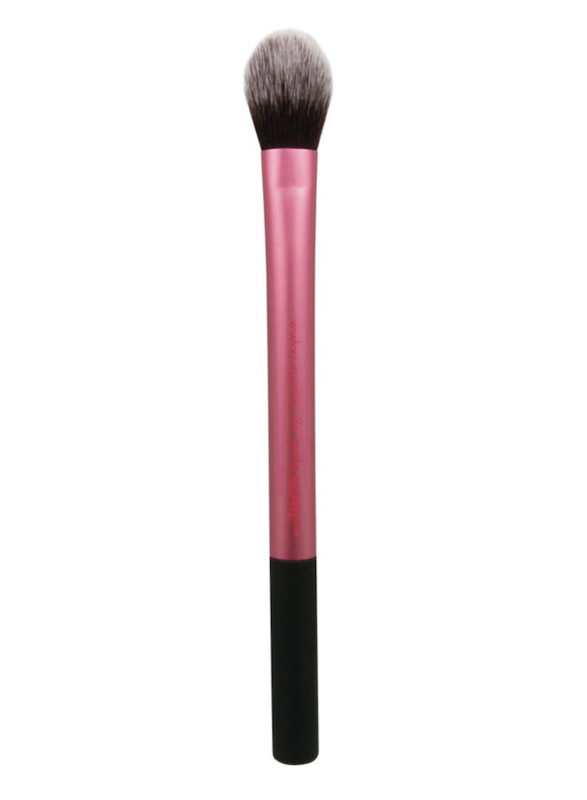 Blush Brush: The one I used in the video from NYX is no longer available, but here is one by them that’s very similar. 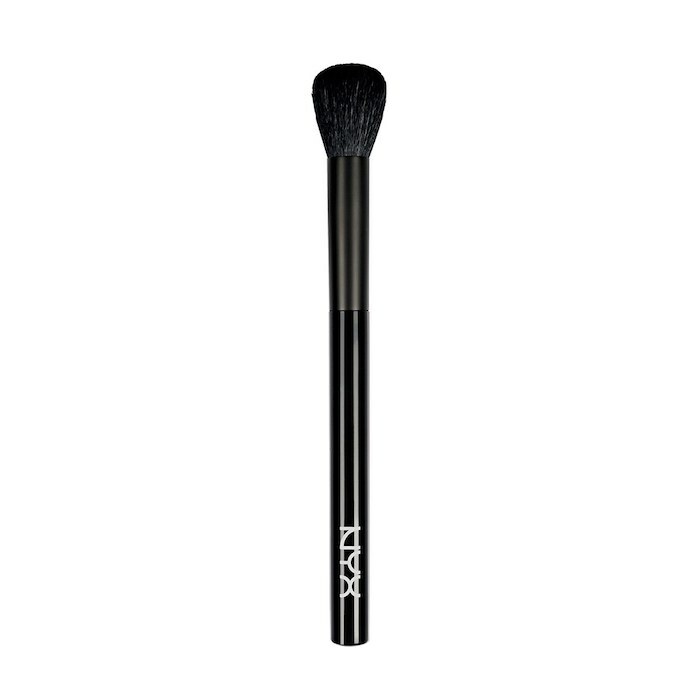 Get This NYX Brush For $13.99	Here. 10.) 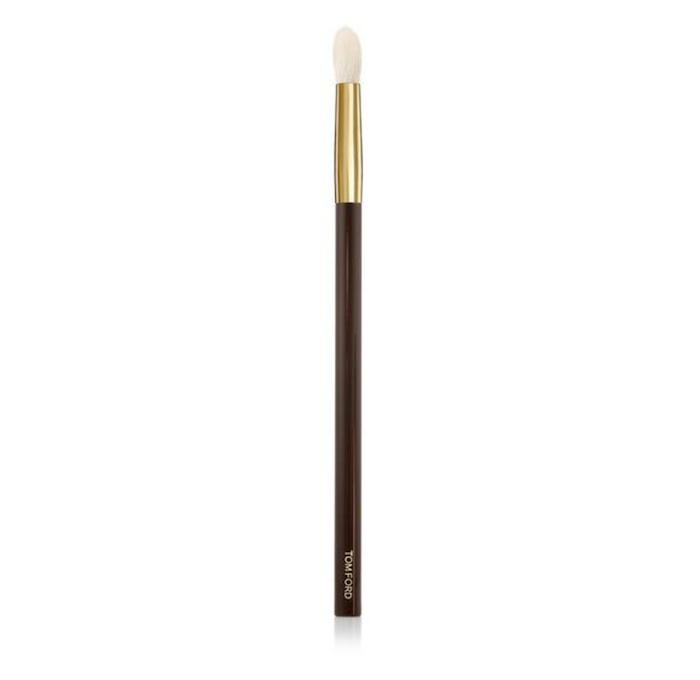 Eye Pencil: This jumbo eye pencil in “milk” or color #604 is the perfect white base for my eye makeup. Get This Eye Pencil For $4.49 Here. 11.) 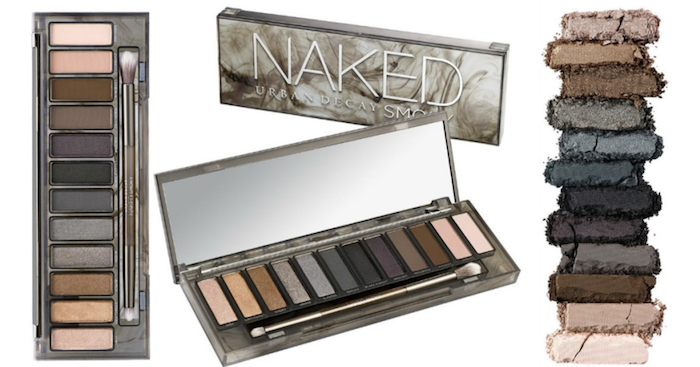 Eyeshadow: I used my favorite powder base color in the Urban Decay Naked Smokey Palette. Get The Smoky Palette For $24.97 Here. 12.) Shadow Brush: I have found this brush from Tom Ford to be my most used eye shadow brush of all time. It’s brush #13 and I use it for an all over base, for blending, and even a light crease shade. Get This Eyeshadow Brush for $57 Here. 13.) NYX makes an almost exact match for the matte grey color used on the eyelid. Get This Eyeshadow For $2.49 Here. 14.) Eyeliner: I always start a wing liner with an eyeshadow base to really grab and lock in the eyeliner. I used this angle brush from Real Techniques to do the trick, it also aids in getting that the flawless angle on the wing. Bonus! It comes in a duo pack! Get This Eyeliner Brush Duo For $8.99 Here. 15.) Eyeliner: Revlon Colorstay eyeliner has been around for a while, and for good reason. It’s one of my favorite drug store liners and is great for creating a smaller wing. Get This Eyeliner For $4.99 Here. 16.) Eyelashes: This look has only a faux bottom lash. My exact lash I used isn’t available online so I found the closest match by Ardell. Get These Lower Lashes In A 4 Pack For $10.40 Here. 17.) 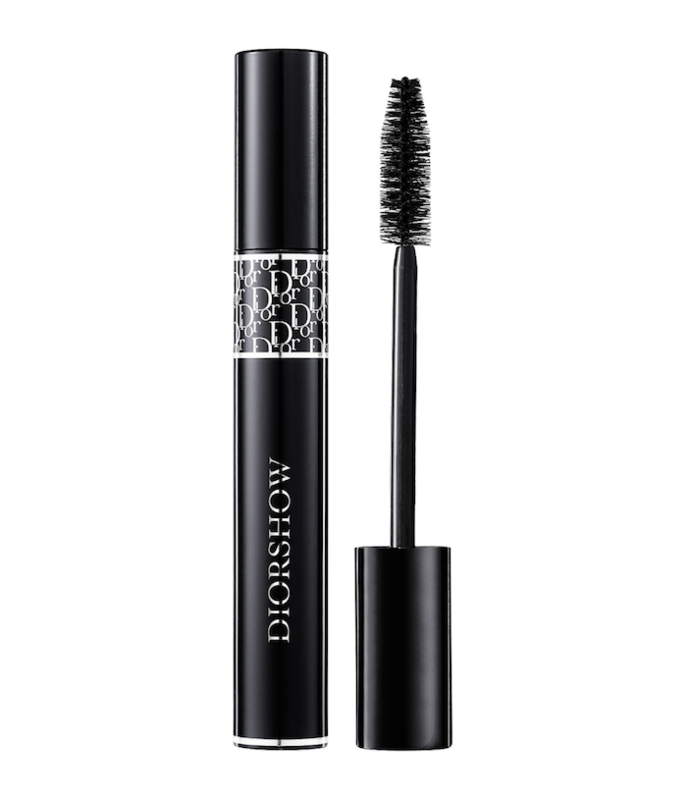 Mascara: Diorshow mascara has been a cult favorite for years, and for good reason. It lengthens, defines, and gives volume. Get This Mascara For $29.50 Here. 18.) 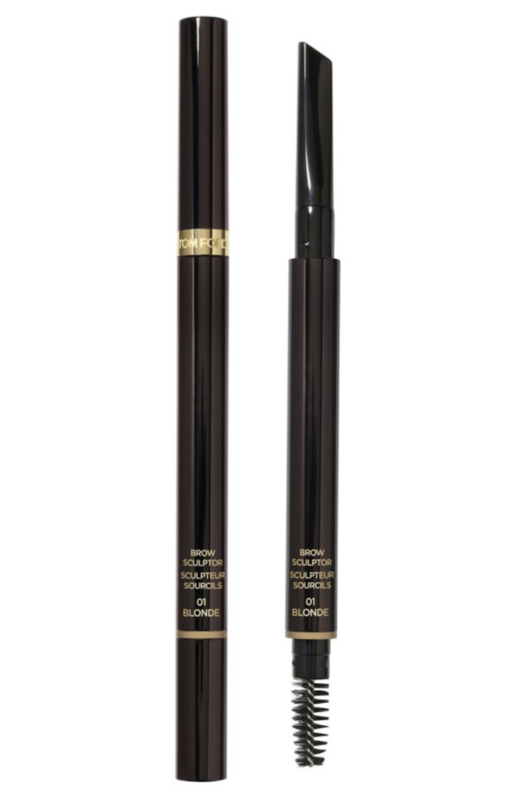 Brow Pencil: This dual ended brow sculpting pencil from Tom Ford has a brush one one end and an angled pencil on the other. It makes brow shaping super easy and quick. Get This Brow Pencil For $52 Here. 19.) Brow Gel: The Mary Kay clear brow gel is highly favored, and in my 3 years of daily use, I can see why. It really aids in locking in the shape you brush your brows into. Get This Brow Gel For $10 Here. 20.) Lips: NYX is always my go to for an easy find when I am trying to color match something. In doing to for this tutorial, this lipstick also became my new favorite color. It’s the “Tea Rose” shade, or color #628. Get This Lipstick For $5.99 Here. 21.) 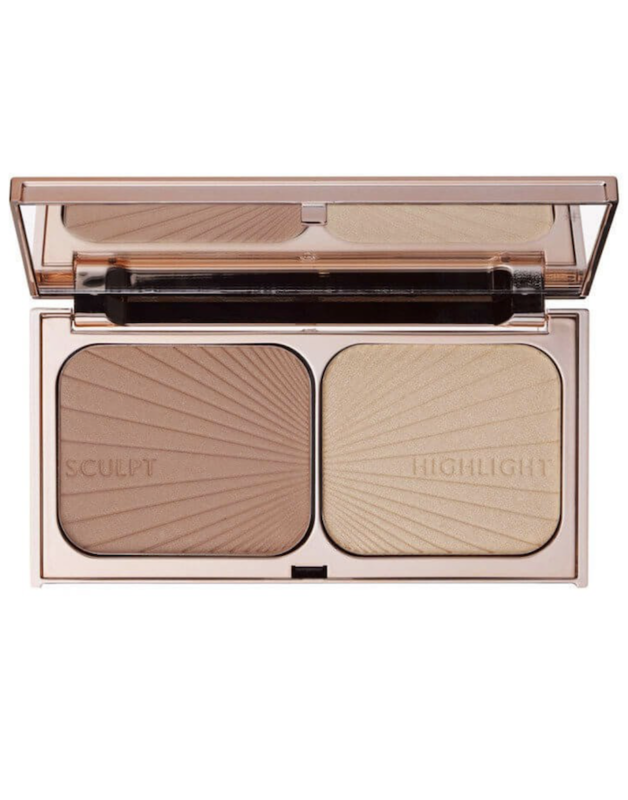 Highlighter: Charlotte Tilbury makes my favorite powder highlighter, and it’s found in her “Filmstar Bronze and Glow” contour palette. Get This Contour Palette For $68 Here.